By lavender at Nov. 6. 2016. These highly ornamental, fact growing vines have gained in popularity over the last few years since their introduction as trailing plants for pots and baskets. The plants have much to recommend them. 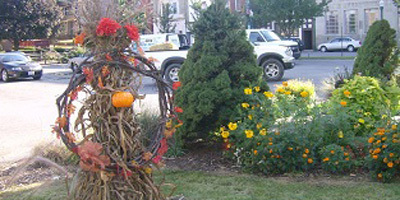 Sweet potato vines make an outstanding visual impact. They are striking in color ranging from chartreuse through dark purple to almost blacks. There is also at least one tri-color version (white pink and green) that is known simply as ‘Tricolor’ or as ‘Pink Frost’. The plants are hardy and somewhat drought resistant as many of them have the large (edible) storage roots. They don’t mind the heat of high summer and thrive in bright sunlight. The plants need a minimum of 6 hours of sunlight to maintain leaf color. Plants grown in too much shade will also have leaved more widely spaced. Some of the qualities for which ornamental sweet potatoes are celebrated are also the traits that make them disadvantageous. The early cultivars such as ‘Margarita’, which we are still presented with in the garden centers, is a huge plant reaching 8 feet in length. It produces large tubers which can crowd other plants out of smaller containers. Because of the large expanse of its leaves, it needs frequent watering and wilts when it doesn’t get it. 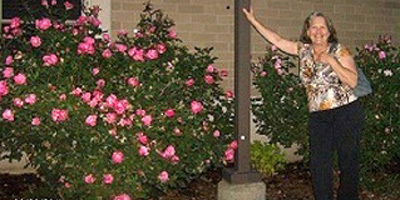 “Blackie” is another common cultivar and it is also an 8 foot vine. “Blackie” has deep cut leaves that are a purple black. Wilting is less of a problem with this one and the ones that were in the pots on the Pershing lot several years ago didn’t produce much in the way of tubers. The purple one with the heart shaped leaves is ‘Ace of Spades’ or ‘Black Heart’. It grows to only 6 feet. And of course ‘Tri-color’ which is a much smaller and less vigorous plants. Some of these plants were probably more suited to growing in the ground as landscaping plants but were touted as container plants because of their striking appearance. The only problem with growing them in the ground is that they are quite tasty to all manner of wildlife, including mice and voles that eat the tubers and deer that eat the leaves. They are also susceptible to fusarium wilt and nematodes when grown in the ground. bronze, light green, raven, red, and green- yellow. These vines only reach two to four feet and are better suited to baskets. A unique member of this series is ‘Bewitched Improved’ which has a toothed edge. It is the smallest in the series growing only one to two feet and forming a compact mound. The color is purple. The Sweet Caroline Sweetheart series also grow two to four feet but have an even more mounding habit than the Sweet Caroline series. They come in shades of light green, purple and red. The Illusion series has the deeply cut leaves and includes the cultivars ‘Emerald Lace’, ‘Garnet Lace’ and ‘Midnight Lace’. 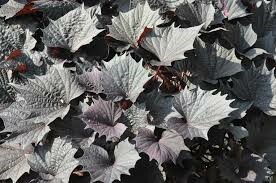 They too produces two to four foot mounds although ‘Garnet Lace’ has a slightly more trailing habit. Hopefully, some of these newer varieties will be reaching our markets soon. Now to what brought about this interest in these vines. 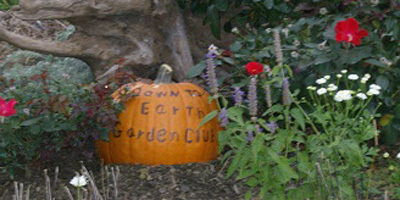 Ornamental sweet potatoes are perennials, although not hardy in our area. We have, on a number of occasions, collected the tubers and used them to start plants for the next season. When I gathered the tubers from the Pershing pots last year the chartreuse vines presumably ‘Margarita’ produced two tubers and the purple ones were tuberless. I planted the tubers in the spring and ran into a problem. A mouse found them and kept digging down and eating the tubers. One tuber was eaten to the point that the plant didn’t survive and the other was damaged severely. The mouse kept evading traps and feasting on the peanut butter used to bait them along with the tubers. more quickly from cuttings than they do from the tubers, which can take a very long time to start.